Dimensions 0.75 by 7.50 by 9 in. Science; Study and teaching (Preschool); United States. Technology; Study and teaching (Preschool); United States. 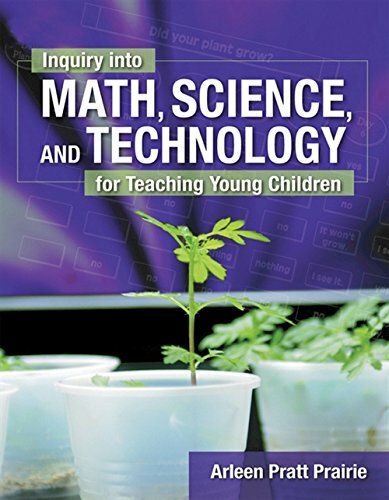 Amazon.com description: Product Description: Inquiry into Math, Science and Technology for Teaching Young Children presents detailed discussion about teaching math, science, and technology for the preschool and kindergarten classrooms. It contains very readable material on understanding the cognitive development of the young child, the use of authentic assessment, and the incorporation of social learning. It then clearly shows the inquiry process so that teachers and future teachers can use this key element in planning curriculum in science and math for the young child. Curriculum models are presented and a wide array of learning experiences in physical science, earth science and biological sciences are detailed. This includes integrating an array of available technology into the classroom to enhance inquiry. About: Inquiry into Math, Science and Technology for Teaching Young Children presents detailed discussion about teaching math, science, and technology for the preschool and kindergarten classrooms.